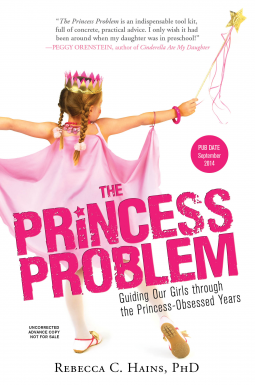 The Princess Problem by Rebecca Hains (Sourcebooks, September 1, 2014) focuses on the issues surrounding the princess culture so rampant in our nation among the youngest of girls. Ms. Hains focuses on the problem with an emphasis on princesses among young girls, the issues of what is portrayed in the popular princess movies, and what parents can do to help negate the negative affects of the abundance of princess culture in a young child’s life. I will testify that my daughter (age 2) became quickly obsessed with princesses as well, despite the fact that my son (currently age 7) has never shown an interest, and frequently, in fact, resisted the movies I tried to expose him to. I tried, when he was younger, because honestly, I love some of the Disney princess movies that I enjoyed as a child. Beauty and the Beast was my favorite! But while my son showed no interest and begged for a different show, my daughter somehow noticed them on her own and became excited and delighted whenever she discovered a princess-themed toy, item of clothing, or otherwise some aspect of the persistent “princess” advertising around her. Now, I’ll say, first of all, that I do not have a huge problem with my daughter thinking of herself as a princess. I think she should think highly of herself and I hope that when she finds someone she loves he will treat her “like a princess” and respect her in that regard. I did, however, greatly enjoy Ms. Hains’ points about why we should coach our children through the young years to make sure they understand the limitations in the princess culture, and the need to look at those limitations as princess movies are viewed. The author points out some important aspects to the issue, including the helplessness of the princesses, the lack of strong women and/or weak men, the unrealistic body proportions of princesses in movies and sponsored paraphernalia, the focus on “finding a man” to be complete, the lack of racial diversity, and so forth. 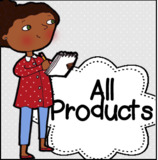 Each chapter provides dialog for parents to initiate with children while watching movies (or spotting toys, etc.) to bring such issues to the forefront. Ms Hains was clear throughout that enjoying these movies is fun and okay, but it seemed the emphasis was on moderation, education, and observation. Each section also provided stories from parents and early childhood educators on how they successfully were able to address these issues with their young girls. The Princess Problem was an informative and engaging read. The tone throughout was friendly. I felt like the author completely understood where I was coming from, and the ideas suggested were appropriate and not at all overwhelming. I really enjoyed reading this book! Note: I received a digital copy from the publisher for review consideration. My two year old is a princess girl for sure – which is hilarious since I am not like that at all (and never really was). For the most part, I worry less about her because while they aren’t perfect, her princesses aren’t Cinderella and Sleeping Beauty; they are Elsa, Anna, Sophia the First, etc. And these modern princesses are quite different from the previous generation of helpless beauties and their need for romantic love. Still this sounds like an interesting read so I may give it a try.